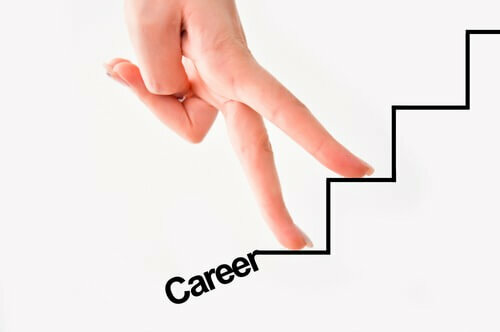 Climbing career path; career advancement. Photo courtesy of Shutterstock. No matter where one is at in their career, there are always things one can do to learn more, become more valuable, advance in their career, and become a go-to employer that people rely on. While you may not be where you want to be in your career now, it doesn’t mean you can’t get there in the future. One thing recent college graduates quickly find out is that, even though they finally secured that first job, there is still much work to be done to continue to advance in one’s career and climb the career ladder. Find/consult with a mentor: Everyone could use a mentor – someone who can motivate, inspire and guide them in the early stages of their career. Find someone in your field, career path, or network who can be a mentor to you. Start by asking for an informational interview to learn more about their career. Then if you feel things are going in the right direction, explain your career goals and aspirations and ask if they would be interested in being a mentor. Many people would be flattered, and willing to help. Take a class: Even though you recently graduated from college, lifelong learning is essential to those who want to advance in their career. Take a class on Udemy or Coursera. Sign up for Lynda.com. Take an adult education class on a topic of interest, or register for a class – traditional or online – at a local college or university. Learning is lifelong, and getting in the habit of adding new skills throughout one’s career will pay off over time – in salary, and advancement opportunities. Do a social media audit: What does your online brand say about you? Google yourself – the next employer certainly will – what shows up? Review your social media profiles (LinkedIn, Facebook, Twitter, Snapchat, others) and check security settings and profiles and be sure they best represent you to an external audience. Seriously review comments, Tweets or photos and remove/edit anything that could hurt your professional reputation. For example, were you outspoken during the 2016 Presidential election, and perhaps commented, through Facebook, or on Twitter, about the Presidential race, Hillary Clinton, or Donald Trump? 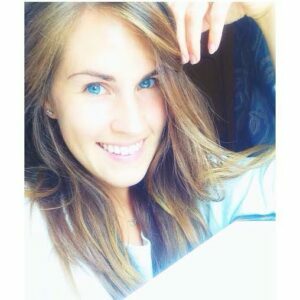 Those comments “live” in search engines, and others can find them. Don’t let social media comments, posts, pictures or shares damage your online brand. Consult with your campus career center: These people are here to help. Even after you graduate. Reach out to a campus career counselor for help with connecting to alumni, for job search assistance and resume writing guidance. Many people never take advantage of this opportunity. Why not reach out to a trained professional who can help? Complete a skills audit: Even if you aren’t looking for a job, search for jobs or job titles that may be of interest to you. What skills or requirements do these job applications ask for? Is there a skill (technology) or requirement lacking in your portfolio? In the year ahead, focus on how to develop or improve that skill, to become more attractive to an employer. Try and take on new projects at your current job, or find classes or training to help learn these important industry skills. Be a team player: You’re not going to be best friends with every co-worker. You’re not going to like every project or assignment. You may even sense conflict with other departments. But don’t mope, be difficult, or develop a bad attitude because of it. Why? Because someday that co-worker, manager, or person who seemed to be difficult on a project could work for a company where you want to work. What will they remember? Your negative attitude – if you let it. Be a team player at work, someone people go to for answers on projects, for assistance, and someone people can count on. Your co-workers will remember that, and will remember you if they are in a position to influence or assist you with your next job or step of your career. Update your resume: If that dream job opened up tomorrow would your resume be updated and ready for you to apply for the job? If that new networking contact asked for a resume to share with other industry contacts, would you be ready? Don’t delay. Updating your resume before you absolutely need it allows one to devote the time, attention and detail to perfect your resume. Even if you are completely happy in your career, updating one’s resume is a good way to help track new achievements and add any new skills to your resume. Better yet, updating a resume twice a year is ideal. At the end of each month write down your key successes and achievements, and at the six month mark, compile those accomplishments and update the resume. Then do it again at the end of year to make sure all is current and best represents the successes you have achieved at your job. If you don’t track it, you will forget it, and it won’t go on your resume, and your next employer will never know you did it. Attend an industry networking event: Attending networking events, or joining professional associations can open many doors. Make it a goal this year to attend at least one networking event or industry association event in your field in 2017. Why? Because networking always has been and always will be the key to climbing the career ladder. Create a backup plan: If you were fired or lost your job today, would you be ready tomorrow, both personally and professionally, for the challenge ahead? Figure out a way to save more money (perhaps through a part-time job? 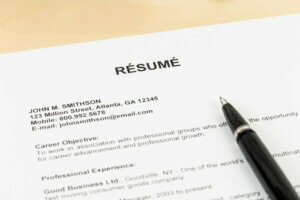 ), be sure your resume is updated, and you would know what to do next, if suddenly without a job now. Be thankful: If you are employed, be thankful, even if you dislike the job, your manager, or career direction. Your current job, job title or situation doesn’t define you, or where you want to go. Keep adding new skills, taking on new projects, and learning. Because, the good news is, where you are now doesn’t mean it’s where you will be in six months, one year, three years and the rest of your career. Make 2017 a success by following the above tips and stay connected with College Recruiter to get job alerts, get career advice, and stay on top of trends and issues affecting both job seekers and employers. Follow these tips in 2017, and you could make great strides in your career development that will continue to have a positive effect not only next year, but in 2018, 2019 and throughout your career. Start now to succeed later.